Parmanu actor #JohnAbraham started shooting for his upcoming project with Robbie Grewal's next. 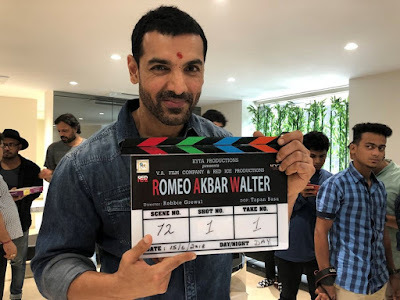 "Romeo Akbar Walter" is directed by Robbie Grewal and the film also stars Sikander Kher in a negative role. John was last seen in "Parmanu - The Story of Pokhran", his home production which is inching close to the Rs 60 crore mark.